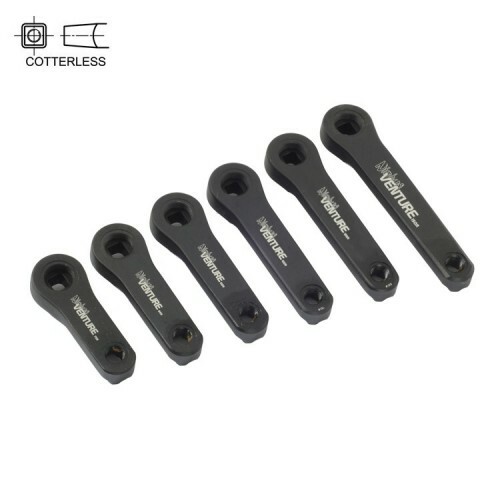 Cotterless cranks are often produced as cheaply as possible and consequently are of poor quality; the better cranks are only found on ISIS hubs... here is the exception. New design and new strength for the Venture cranks! These cranks are now produced by a different process and create an excellent balance between weight and strength/toughness. Although the Venture cranks were good... these are 40% stronger! Note: Crank length is measured from the center of the axle hole to the center of the pedal hole.